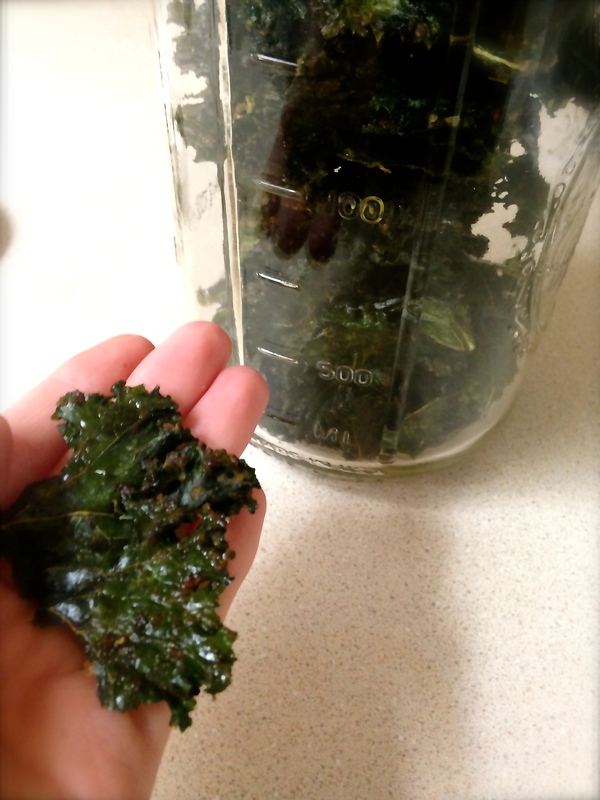 Crunchy Spicy Kale Chips | So Pretty is as Pretty Does. 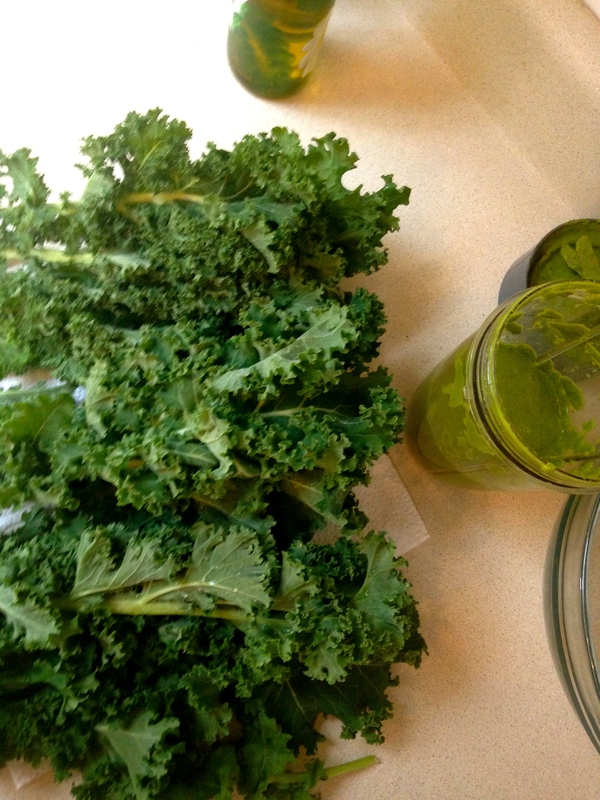 I found this recipe, and mostly stuck with it. 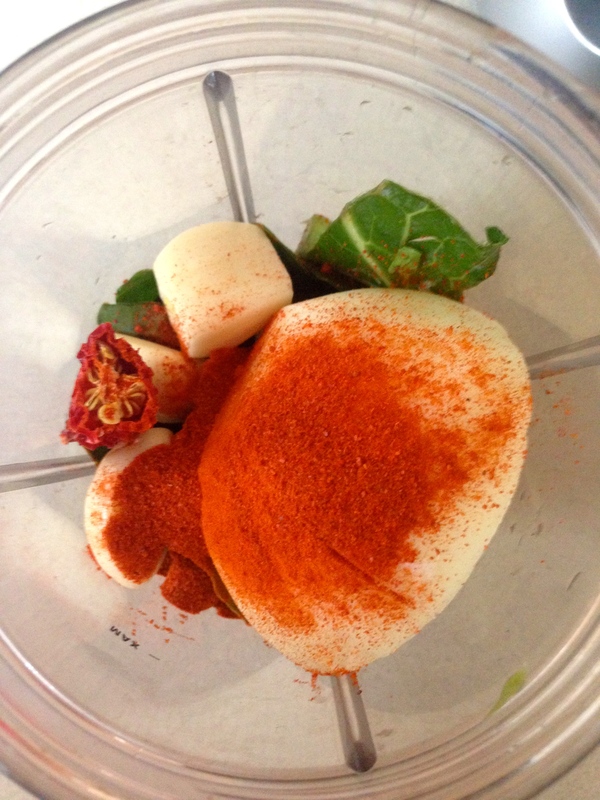 Aside from adding a jalapeno. Oh, and I doubled, possibly tripled the garlic, but that’s standard cooking procedure in this household. 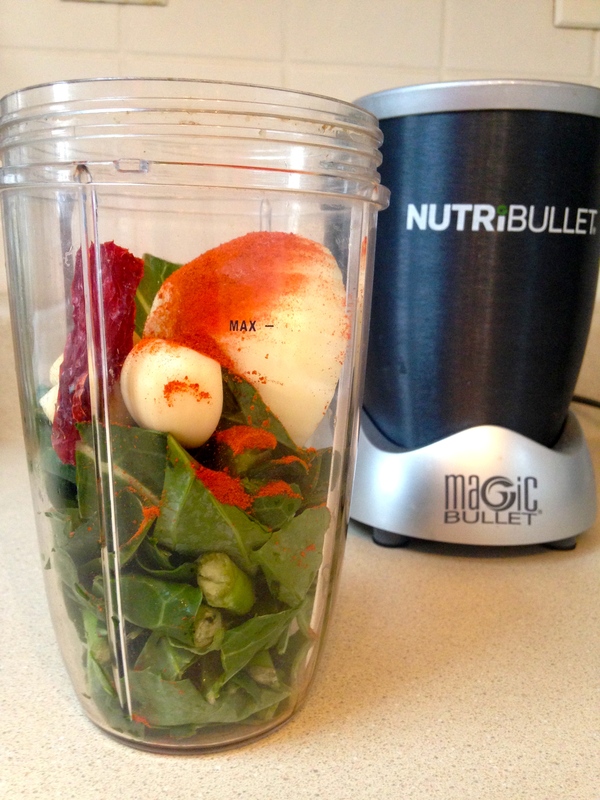 Blending the greens with the onions, spices, peppers was an absolute breeze in my NutriBullet, which rivals the pink Barbie Jeep of my youth as my most adored Christmas present. 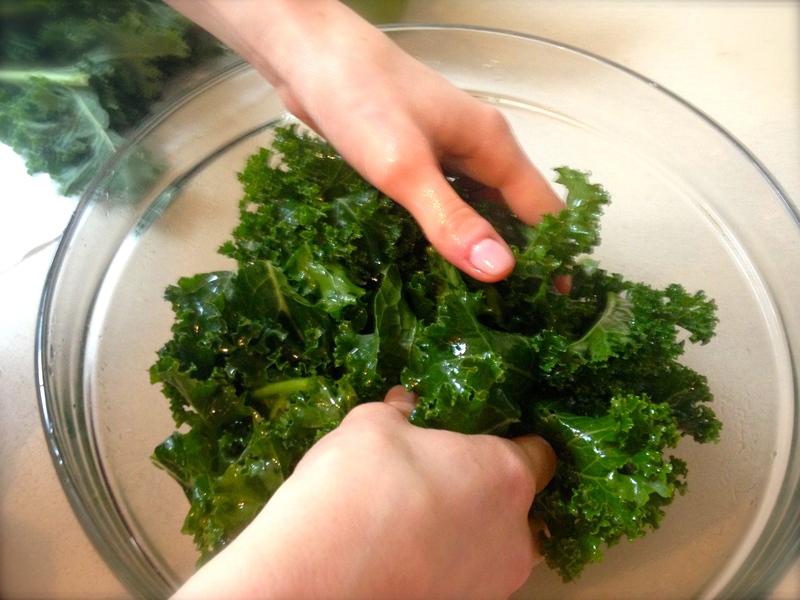 After your veggies and spices are blended and ready to coat your kale, clean your kale leaves and tear them into slightly larger chips than you want (they’ll shrink). 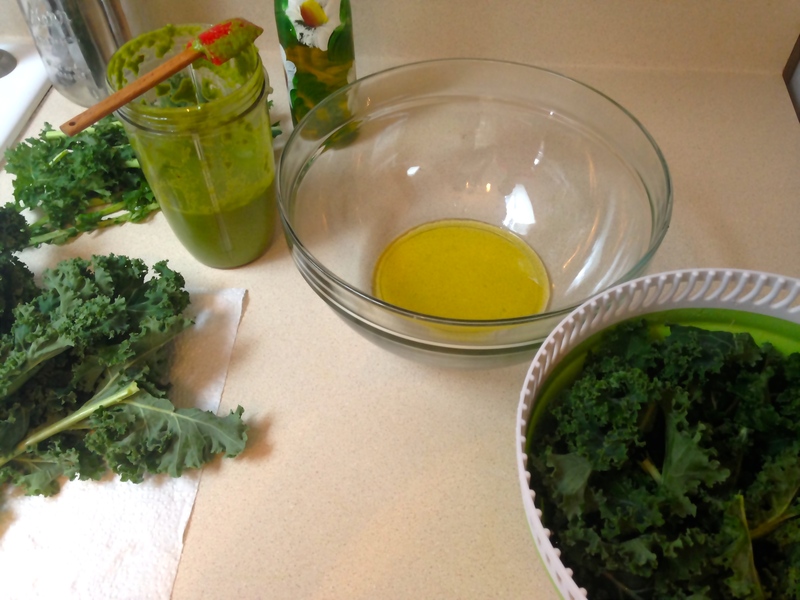 Then, cover your kale with a little olive oil before tossing the leaves in your green mix. 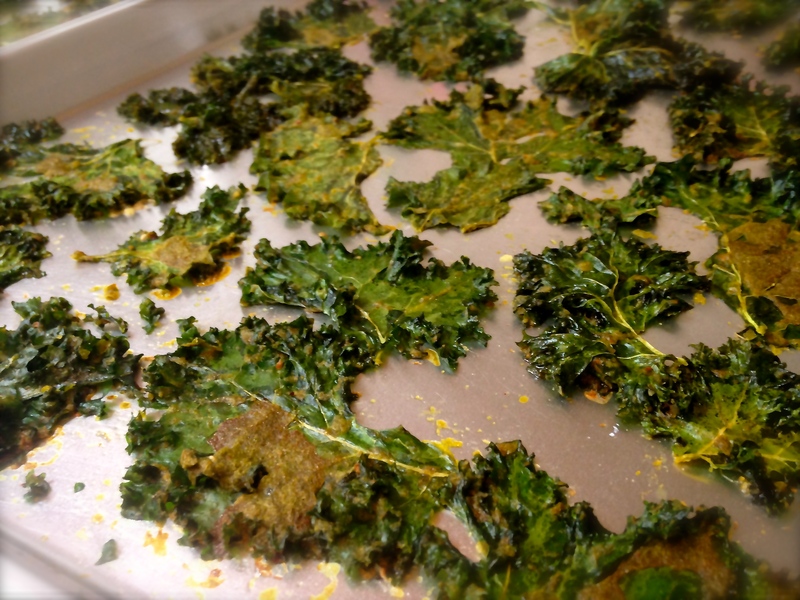 Spread your soon-to-be chips on baking sheets. My first batch took four sheets, my second only two. The second batch definitely resulted in a spicier chip, so it’s a matter of preference. 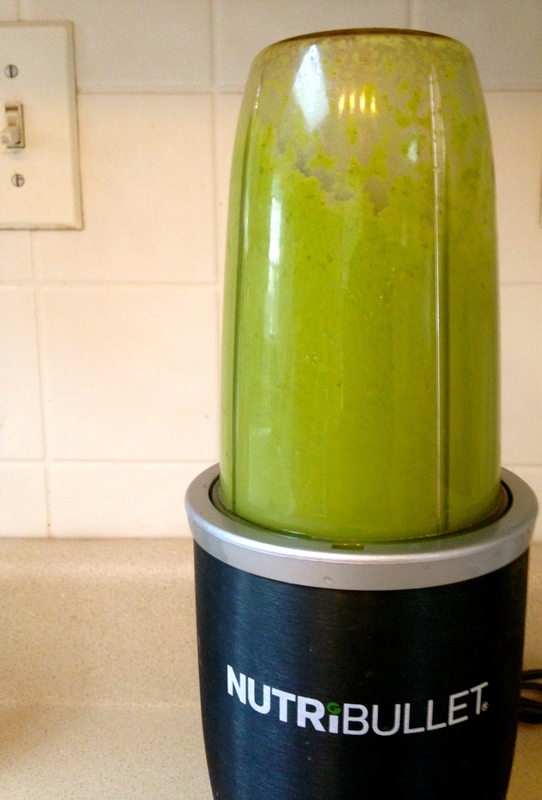 If you have extra green stuff, you can attempt a snack within a snack. 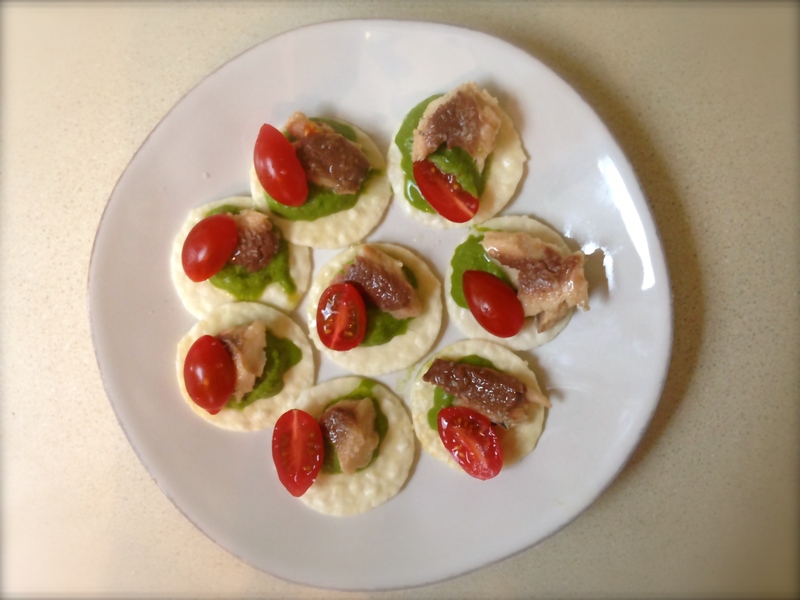 We made these fantastic little treats with avocado, sardines, cherry tomatoes and rice crackers. Back to the original snack, two hours at 200° and you’ve got chips. 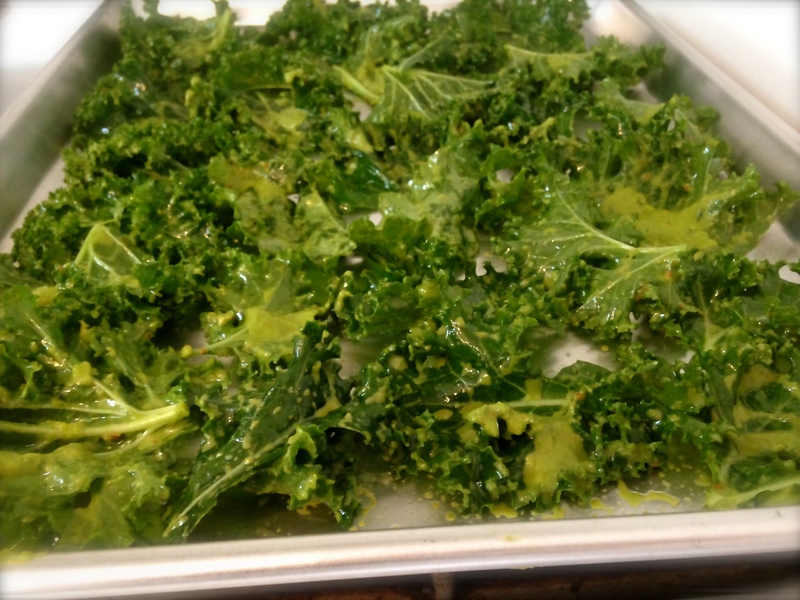 They aren’t likely to win any beauty pageants, but they make for a super satisfying crunchy afternoon snack.